Red Lodge Veterinary clinic provides comprehensive health and wellness care for your pet throughout all life stages. We offer state of the art diagnostics which allow us to diagnose and treat your pet quickly and comprehensively. No more waiting several hours for x-ray images to be developed or for blood results to be returned several days later. Our goal is to provide same day treatment and care so your pet begins to feel better as soon as possible. K Laser Therapy (cold therapy laser excellent for arthritis pain, non-healing wounds and dermatological conditions). 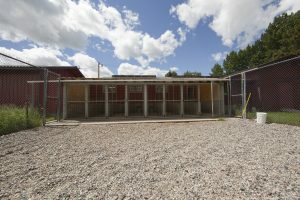 Red Lodge Veterinary Clinic offers a full service boarding facility with numerous indoor and outdoor kennels in a clean and comfortable environment. Indoor kennels include heated floors for your pets comfort. We have accommodations for dogs of all sizes, and a separate area for cats. 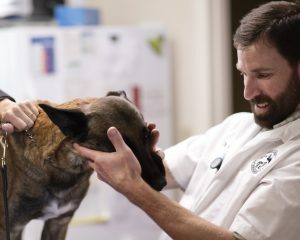 Our staff ensures all boarded animals are healthy and are current on their vaccines prior to entry and daily veterinary supervision is available for all. Dogs get plenty of exercise and are allowed playtime in our fully enclosed exercise pen several times a day. Those who require special attention without co-mingling during play are given individualized care. General grooming, bathing and brushing can be part of the service during your pet’s stay. We offer special hours for weekend/holiday drop-offs and pick-ups.